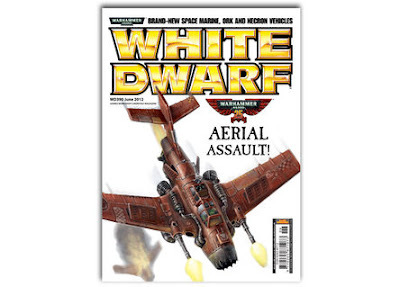 GW are really on the money at the moment, with another cracking White Dwarf this month. Looking ahead to my (intended) upcoming games of Kill Team, I'm really tempted to pick up one of the new fliers, as they will fit right in and add an interesting dynamic to the games; a bit like the end of level boss sections in the video games, having a squad of guys ducking around to avoid the vehicle fire..... could be a lot of fun. Not so keen on the Necron Scythes, but the Marine gunship and the Ork plane look tops. 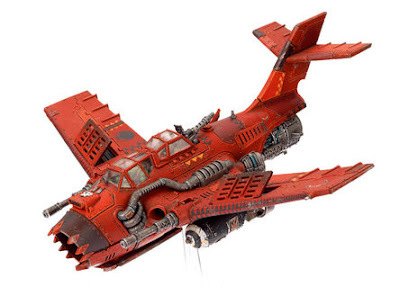 For the Orks, I'm thinking take a Dakkajet and spend the rest of the points on swarms of grots. This could give the opposition KT a real headache, deciding whether to lay-low avoiding the strafing runs and let the turn counter run down, or risk taking down the grots en route to the objective and risk the aircraft guns? 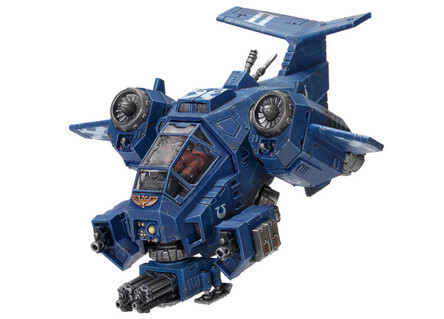 Due to the relative points cost of the Stormtalon and the other possible codex options, the gunship will pretty much be the only model on your side of the table if you take it in Kill Team, although you could take some of the upgrades. That being said, it's like a mini army in itself with the amount of serious firepower you can sling about.